Square D TeSys D 3-Pole IEC Contactor with 1 NO + 1 NC contact configuration, is ideal for motor control and resistive load applications. It has contact rating of 600-Volts and 18-Amps. This 1-/3-Phase contactor has coil voltage rating of 208-Volt AC. It has voltage rating of less than or equal to 690-Volt AC at 25 - 400-Hz and resistive current rating of 32-Amps/inductive current rating of 18-Amps. This rail/plate mountable contactor with terminal connection, accommodates conductor of size 18 - 10-AWG. It measures 1.77-Inch x 3.39-Inch x 3.03-Inch. Contactor has 3600 cycles/hour operating cycles. 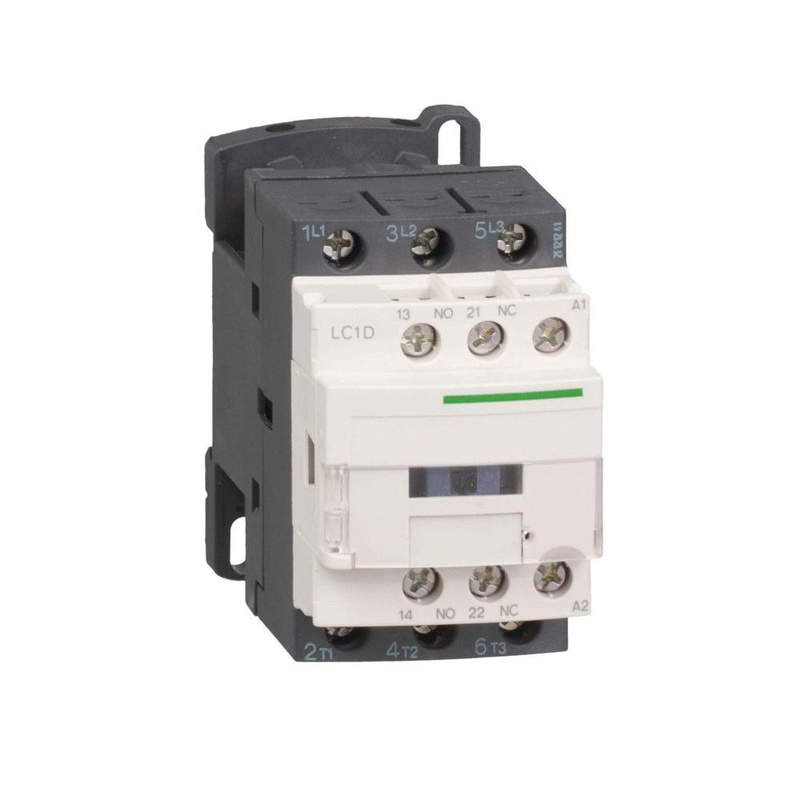 It has operating temperature range of -5 to 60 deg C and storage temperature range of -60 to 80 deg C. Contactor has IP2X rated degree o protection. It is V1 flammability rated per UL94 to withstand harsh environmental conditions. Contactor is UL listed, CSA certified and meets EN/IEC standards.